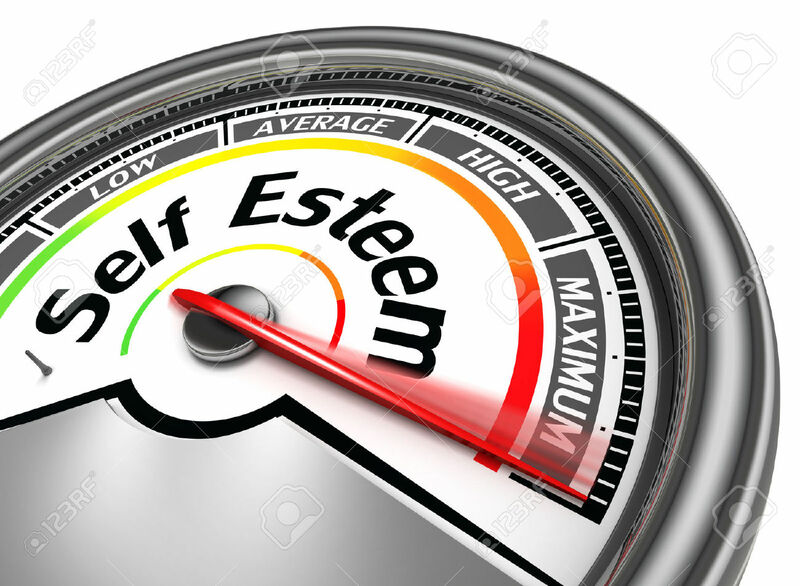 Our level of self esteem is a result of what we have been led to believe about ourselves throughout our lives to date. 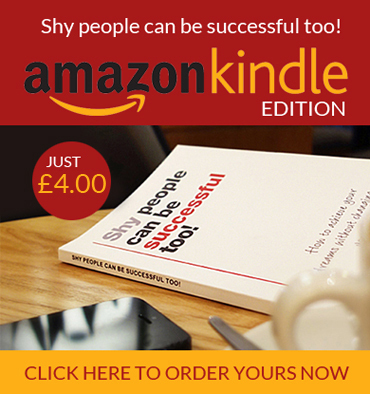 Many people have low self esteem so you are not alone if you suffer from it too. If you have low self esteem you will have a low opinion of yourself. Low self esteem can stop you in your tracks when you are carrying out tasks, work related projects etc. It can also stand in the way of you achieving your dreams because you feel that you are not good enough. You tend to rely on comments from others to make you feel good. We can easily forget the times when we have achieved great things but we don’t quite so easily forget the times that we have failed, and we beat ourselves up by going over and over it in our minds. Most people want to feel good about themselves because when they feel good they are happier. 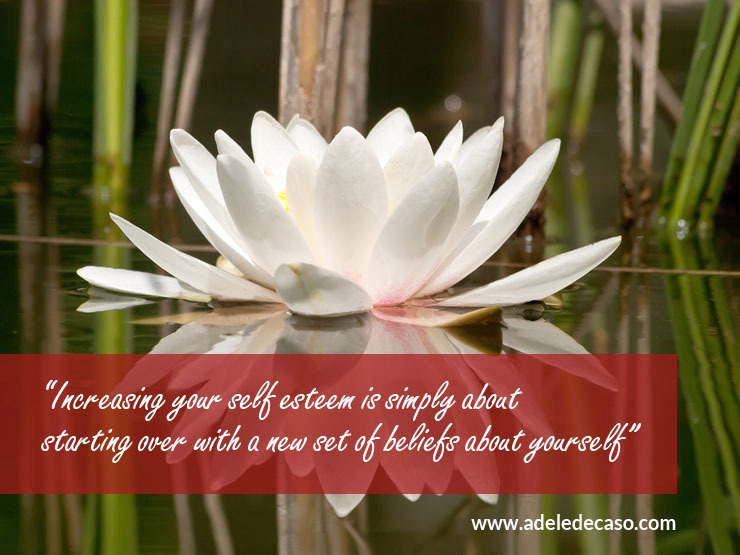 The good news is that we can raise our levels of self esteem by simply changing our behaviours. I think it is only normal that your self esteem fluctuates, but if you can achieve a level where you feel good about yourself most of the time then that is a good starting point. • Learn to recognise as quickly as possible when you inner voice is telling you that you can’t do something or that you are lazy/crazy/stupid/silly etc. Replace the thought with something positive. For example, ‘I am doing an amazing job.’ This will feel strange at first, but you will soon get used to it, and it will benefit you because your self talk determines the way you feel. • Have a ‘go to’ image, an image of something that makes you feel good. It could be a photo of your family, or something that reminds you of an event where you felt amazing. Every time you feel yourself thinking negative thoughts about yourself, switch to this image. • Spend as much time as you can doing your favourite things. This will make you feel good about yourself. • Look after yourself, give yourself the attention you deserve. Start a fitness plan, a clear skin plan or a healthy eating plan. This will make you feel better about yourself. • Write down things that have happened during your day where you have been of service to others. • Every day, write down three things that you appreciate about yourself. If you struggle at first, repeat the same things again and again. • Try not to compare yourself to other people, everyone is different and we all have different strengths. • Spend time with positive people and people who lift you up. • Cut out time spent watching and reading the news and spend time reading from a book that inspires you. It doesn’t have to be a book about self esteem in particular, just something that gets you fired up, something that you are interested in. • Keep a feel good folder of past achievements and compliments and look at them often. • Whatever success means to you, keep a clear vision of it in your mind. Another thing to remember is that you can act the part until you have reached your desired level of self esteem. Just pretend that you are happy with yourself, pretend that you have an abundance of confidence and just see what you can achieve. It will be lots of fun! This entry was posted in Blog and tagged Self Esteem. Bookmark the permalink.